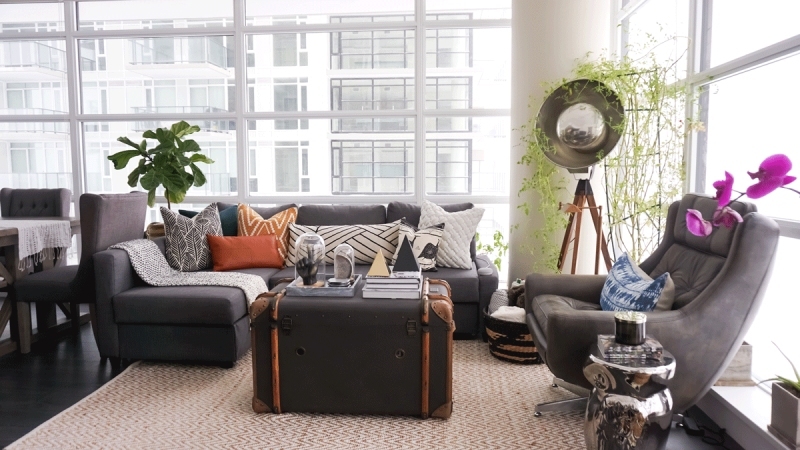 When Victor Diep moved into his 910-square-foot modern, contemporary condo in the Guardian Tower in 2016 he was excited to work with a blank slate. While the fixtures and colour palettes were standard to the building, Diep created a space that is anything but cookie cutter. Diep is a full-time accountant and spends his free time learning as much as he can about interior decorating and design. This self-proclaimed Homesense shopping expert documents his interior design adventures on Instagram @vdiep. “This leather chair in my living room was found at floor model sale at a really-really deep discount. I had my eye on it – it is so beautiful with really buttery leather – and decided that ultimately I couldn’t afford it. Nine months of watching it, it finally went on sale!